Titanium Distributor specializing in titanium sheet, plate, coil, rod, bar, forgings, tubing and extrusions since 1978. 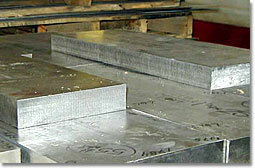 ASM Aerospace Specification Metals Inc. is a Florida based distributor of quality Titanium metal products. Specializing in quality titanium sheet, plate, coil, rod, bar, forgings, tubing and extrusions, we have been a leading supplier of aircraft quality titanium since 1978.